“Alexa, make some new products.” OK, maybe it didn’t happen quite like that. But Amazon, always full of surprises, recently debuted a new lineup of Alexa-compatible gadgets including refreshes of its Amazon Echo lineup (our comparison of Amazon Echo devices). 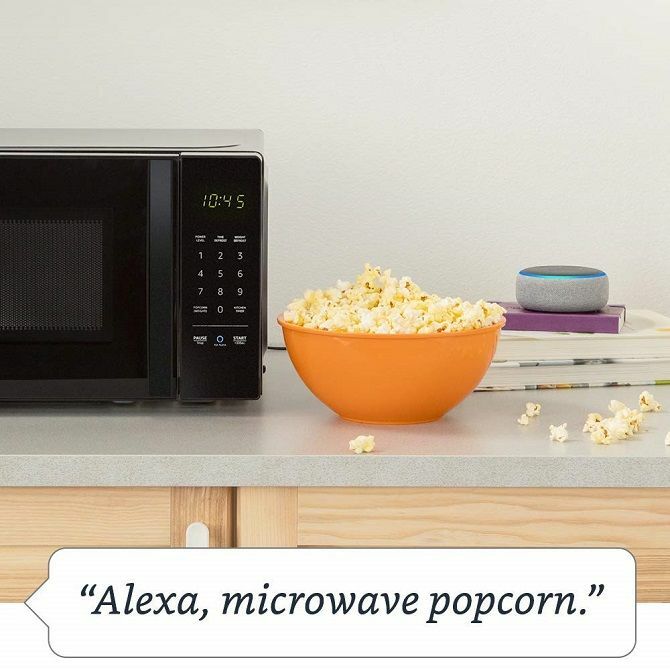 From a new Echo Dot to Echo Auto and even an Alexa-enabled microwave, these are the new Amazon products the company thinks you need. The first thing you’ll notice about the new Echo Dot is its aesthetic. Rather than the plastic housing, it’s replaced by a fabric shell as on the standard Echo. Audio also benefits from an upgrade with a 1.6-inch driver which Amazon reports as being 70 percent louder than the previous generation model. Thankfully, Bluetooth and a 3.5mm out jack remain. I’ve got an Echo Dot in my kitchen/living area, and it’s one of my favorite smart home gadgets. If you’re in the market for an Echo unit, consider the new Echo Dot. 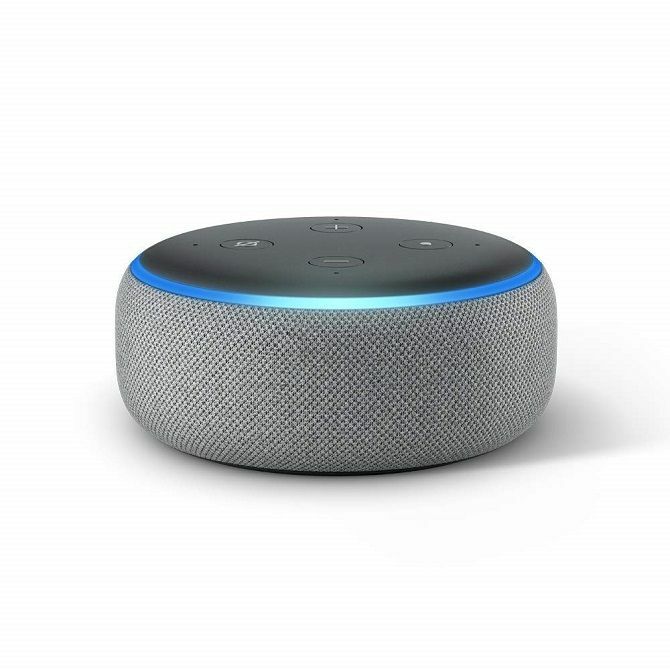 In fact, some people believe the Echo Dot is a better purchase than a full-sized Echo. Amazon is seeking to put an Echo in every room of your house, and that now includes your garage thanks to Echo Auto. As the name suggests, this is an Echo unit for your car. 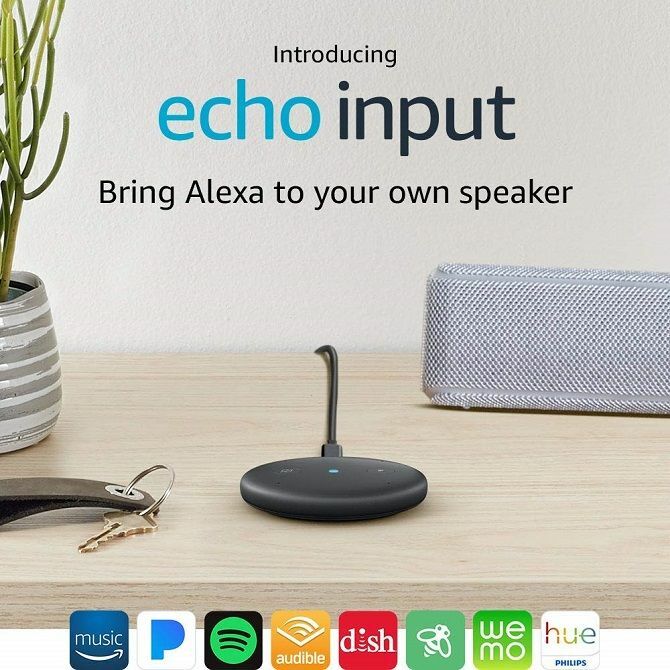 Echo Auto connects to Alexa using your phone and plays through the speakers, which, if they’re like mine, will result in tinny, lackluster sound. Basically, the Echo Auto brings the full functionality of Alexa to your car. So you can play music from Amazon Music and Spotify, listen to Audible audiobooks, and more. If you’re an audiophile who doesn’t want to miss out on Alexa, consider the Echo Input. This tiny gadget connects to your existing speakers with a 3.5mm audio cable or via Bluetooth. With it, you can perform the same functions as with almost any other Alexa device. The key difference in the Echo Input and Echo Dot is that the Input features a slim profile which remains pretty well out of sight. However, it doesn’t pair with your Wi-Fi, and there’s no capacity to call anyone using your Echo. 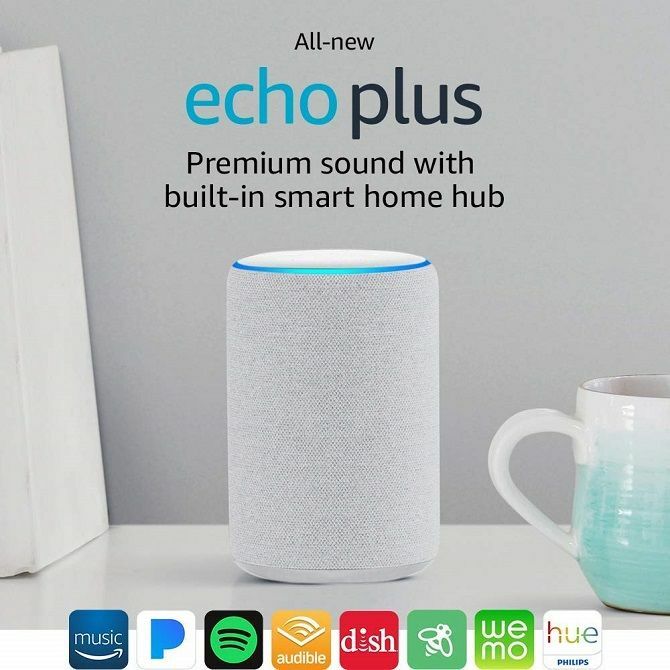 The popular Echo Plus gets an update too. Amazon debuted the Echo Plus with an onus on smart home control and automation. Now, the Echo Plus sees a pretty aesthetic matching which looks more attractive in a home. Like the previous Echo Plus, the second-generation Echo Plus remains smart home focused. Onboard, you’ll find an integrated temperature sensor which may even trigger Alexa routines. Furthermore, the Echo Plus comes with local controls. This way, if your internet goes out you can still control much of your smart home tech using the second generation Echo Plus. That’s a huge step up which solves a major pain point in the smart home space. While Amazon’s line of Echo units are fine speakers, they’ve mostly been used as smart assistants. Competing speakers like the UE Blast and Megablast with Alexa onboard provide better sound quality. However, the Echo Sub corrects an oversight. 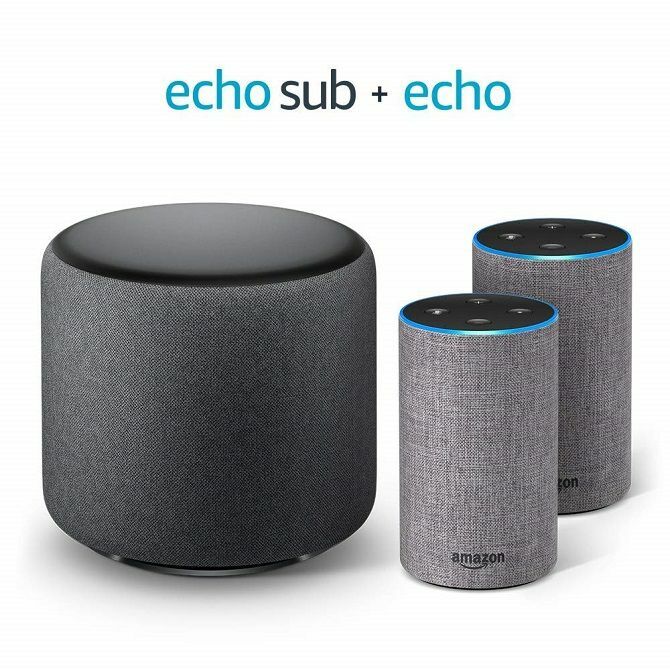 It’s a subwoofer which connects with Echo and Echo Plus speakers. You can pair with one Echo or Echo Plus, as well as sync with a pair of Echo speakers for a 2.1 set up. For Alexa adopting audiophiles, the Echo Sub is a must. It’s available on its own or with a pair of Echo speakers. With the Echo Show (read our review), Amazon introduced an Alexa-enabled device with a built-in screen. The second-generation Echo Show increases screen real estate to 10 inches. Additionally, there’s better sound quality and listening capabilites. The new Echo Show sports a whopping eight microphone array. A major update to the Echo Show arrives in web browsers. Amazon’s own Silk browser and Firefox will be available on the Echo Show, and you can use Skype as well. Amazon further proves its dedication to smart home tech with the Alexa Guard. The aptly-named Guard is a smart home security device which integrates Echo devices, smart lighting, and more. With the Amazon Guard, you can configure smart alerts and receive notifications based on intrusion detection and CO2 levels. The AmazonBasics Microwave may be my favorite Amazon device to date. OK, just hear me out, its compact, space-saving design makes it ideal for most kitchens, plus you can give it voice commands to make popcorn, cook your shrimp ramen, and heat up those burritos despite the fact that you promised you’d cook. So, maybe the AmazonBasics Microwave is a bit unnecessary, but it means the “Tea, earl grey, hot” command will finally work. 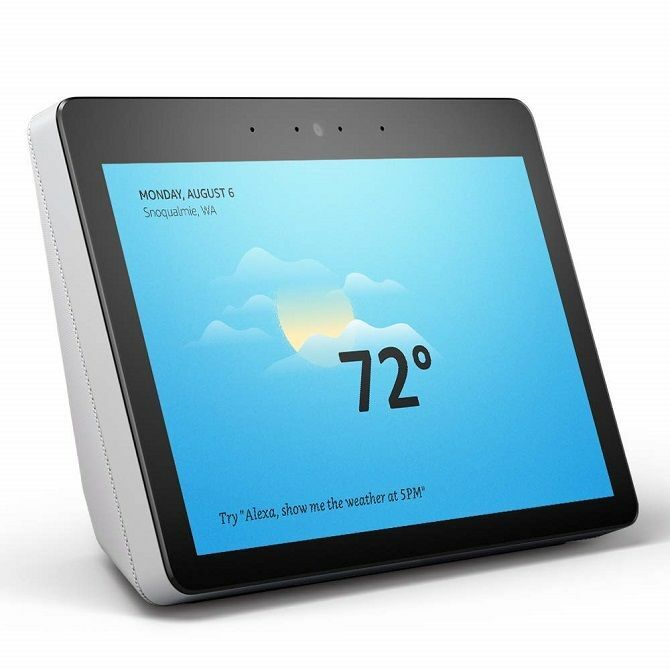 Arguably Amazon’s most unassuming device is the Echo Wall Clock. Quite simply, it’s a clock which hangs on the wall and connects with Echo devices via Bluetooth. You can set set alarms and issue Alexa voice commands with your wall clock. Plus, it blends in better than a monolithic speaker. The new trend in speaker technology is multi-room audio, and with the Echo Link you get just that. The Echo Link hooks up to receivers and amps with a variety of both analog and digital inputs. You won’t find any microphones onboard. 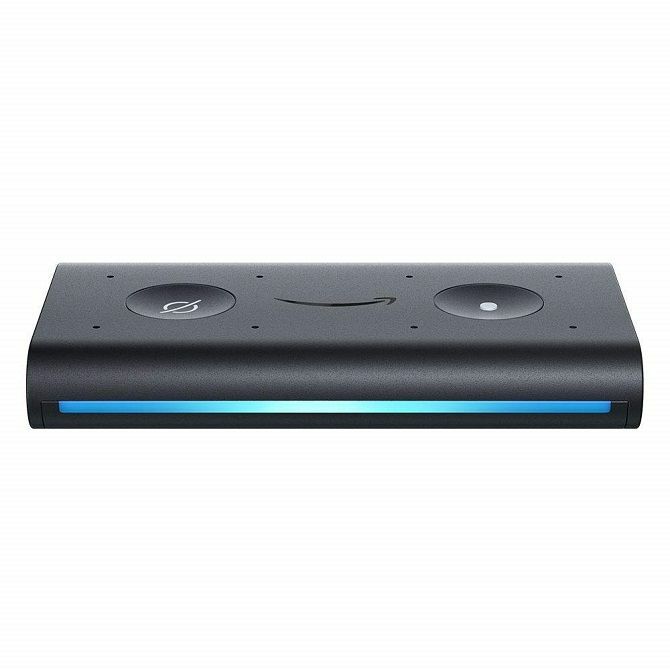 Instead, the Echo Link allows you to control music, volume, and more on your stereo with Alexa. Cord cutting is on the rise, as evidenced by the prevalence of streaming devices such as the Amazon Fire TV Stick, Fire TV (read our review), and Fire TV Cube. 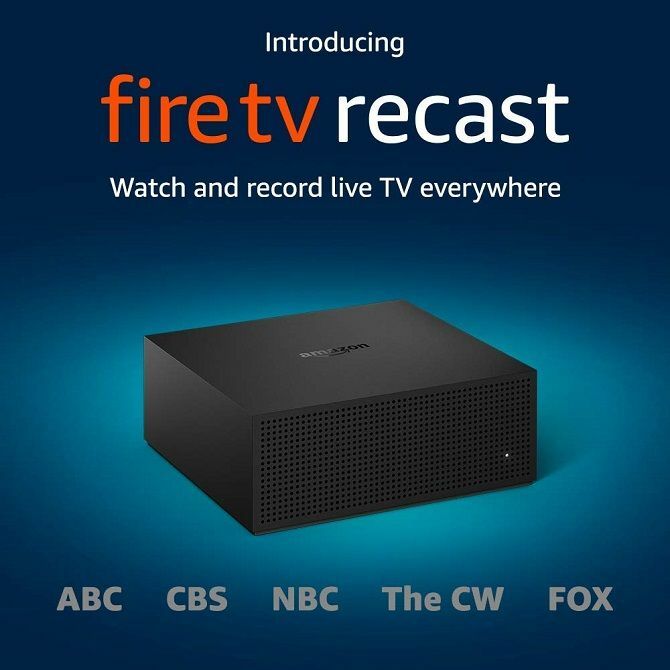 Amazon continues catering to cord cutters with the Fire TV Recast. This over-the-air (OTA) DVR features 500GB of storage space. Aside from the Fire TV Recast, you’ll need an OTA antenna and Fire TV streaming device or Echo Show. For cord cutters seeking free OTA channels, the Fire TV Recast is a solid option. Smart plugs are terrific solutions to retrofit a “dumb” home. 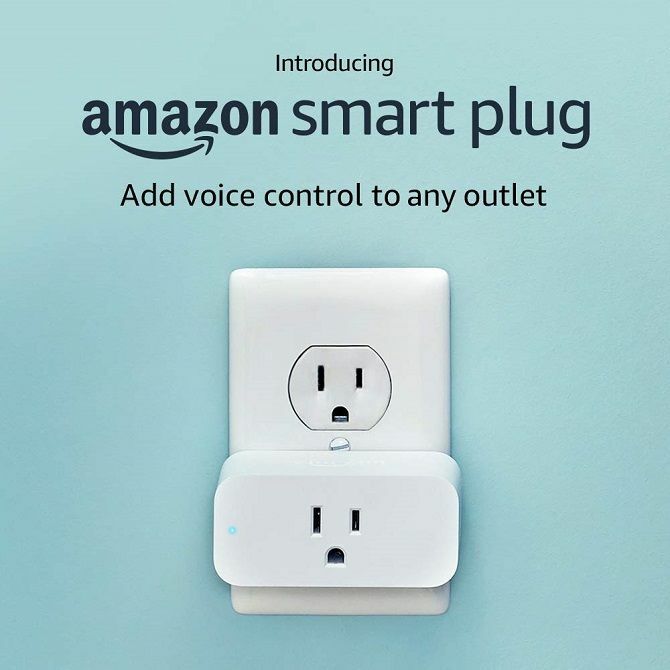 And you can now choose the Amazon Smart Plug which, of course, works with Alexa. You can control this with Echo devices and configure smart home automations for controlling the likes of lights and fans. 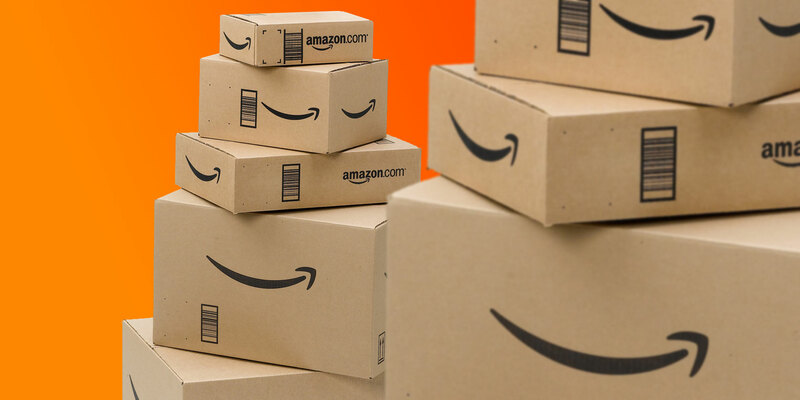 Amazon Thinks You Need These Products: But Do You? Overall, Amazon has delivered a slew of updates to its existing lineup of gadgets, while adding several new products. While the AmazonBasics Microwave might not be an essential item, the trend is clear: Amazon is seeking to continue providing smart home technologies, and even delve deeper into cord cutting. After you pick up one of these devices, check out these creative uses for your new Amazon Echo.